This filter fits Arctic Stream Humidifier models DH831, DH4C, DH8000, DH8002, DH8003, DH8004, DH8005, WWH8002, and WWD84 and has a patented rigid support that offers a long lasting design. There are 3 filters per box and each filter measures approximately 7.75 x 9.5 x 1.75. This is an aftermarket filter. Fits Duracraft Natural Cool Moisture Humidifier models DH831, DH4C, DH8000, DH8002, DH8003, DH8004, DH8005, WWH8002 and WWD84. Measures approximately 7.75" x 9.5" x 1.75". 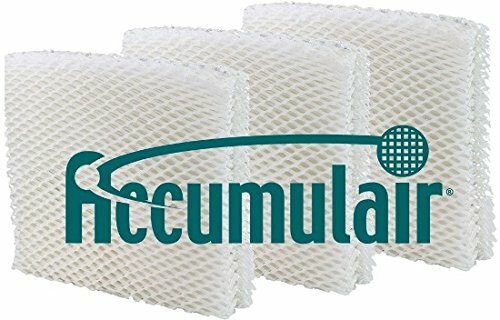 Duracraft humidifier wick replacement filters.